Evidence of the unity of the mind and body and its impact on the self and healing dates back 2500 years as a benchmark of Buddhist practice. Twenty-first century brain research and technological advancements capable of measuring consciousness and state of the mind validate the notion that the healthy self is an integrative union of body and mind. Anorexia and bulimia represent the fragmentation and loss of integrity of the core self. 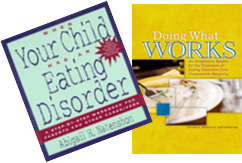 Eating disorders are disorders of the brain; their symptoms present as dysfunctional emotional, behavioral and perceptual patterns that stem from imbalances in brain biochemistries, the neuromuscular system, and in sensory integration (perceptual) dysfunctions. Through the process of treatment and recovery, neurological imbalances become rectified. Drawing from a mindfulness or sensibility derived from the physical or embodied self, somatic education facilitates an integration of sensory functioning which ultimately evokes healing changes in the global structure and function of the brain, through neurons that fire together and wire together. 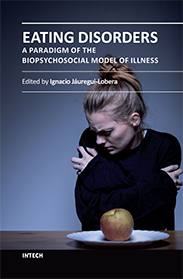 The role of the bodyself in the etiology, maintenance, prevention and healing of eating disorders enlightens our notion of how people learn and of what constitutes effective treatment.